The Independent Motorsports Group (IMG) sanctions wheel to wheel Sprint and Endurance Racing, as well as On-Track High Performance Driver's Education events, On-Track Time Trials, and Competition Race Schools. Our goal is to provide a place for safe, no-contact performance driving in a friendly environment for drivers of all experience and skill levels. As some of you may already know, I have taken the position of General Manager at Palmer Motorsports Park and as such I can no longer lead IMG as I have for the past 3 years. After much discussion with our core staff, it has been determined that the loss of Entropy Racing as well as the staffing and resources that it brought to the group is too large for us to continue to hold the quality events that we have all enjoyed. As a result, we regret to announce that we will not continue operation into the 2015 season. While this is a tough decision for our management and staff, all of us agree that to move forward without the right staffing, leadership, and financial support would just risk the fun and goodwill that IMG has shared among its members. As we go through the process of winding down operations, refunding outstanding entry credits, and getting the Championship trophies made and sent, I would hope that we can all be proud of three successful seasons of growth and fun. Over the next month or so we will be in contact with specials on our remaining inventory of shirts, Transponders and any other items we might have available. I will also be contacting SCCA and NASA to see if they will honor your 2014 Advanced Race licenses to be transferred to their organizations. This might take a little time but we will let you know the outcome. Lastly, I would encourage all of you to continue driving, time trialing, and racing with the other sanctioning bodies that are out there. And as you do, take all of the positive ideas and experiences you had at IMG with you to share with your fellow drivers and competitors. If the ideals of Cars, Competition, and Camaraderie continue to help you enjoy track days to the fullest, IMG will have succeeded in its most important mission. From the whole IMG team we thank you for your support these past three seasons and look forward to seeing you in the future. 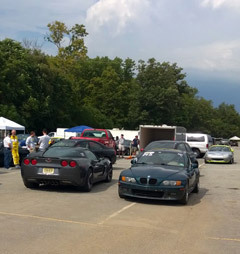 Thanks to a tremendous show of support from our members, drivers, workers, and volunteers, last weekend's Summit Point Main Course weekend was very successful. Even in the face of looming stormclouds on Saturday, we had a great time putting on a fun event which everyone seemed to enjoy. Thank you to Woodbridge Kart Club and Hooked on Driving, for hosting our event and helping us fill the fields, respectively. And of course, special thanks to our instructor team, many who did worked multiple jobs this weekend to ensure that all of our students had the guidance they need. Results are being worked on as we speak, and will be up soon. If we can see a similarly strong showing at our upcoming Pocono North event, you can be assured that IMG will continue to grow and thrive well into the future. As we compile results and post-process photos, the IMG team would like to thank each and every one of you for coming out to support us at Round Two at Lime Rock Park. The outpouring of support has been tremendous, and we held an awesome event, with very clean HPDE, sharp Time Trial, and a modest but competitive SprintDuro race weekend. If you guys show us the same support by registering for the September 6-7 Summit Point Main Course weekend event, IMG will deliver an even better weekend of HPDE, Time Trials, and Racing. Summit Point Main became part of our calendar last year, delivering excitement and fun at both events: Even sporadic rainclouds couldn't put a damper on our last visit. The weather looks to be much nicer this year, so go ahead and register now. Early bird Registration Discounts are available all the way through the weekend. 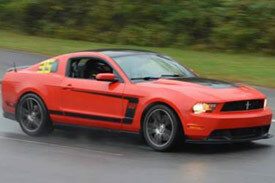 The event schedule for IMG's Round Two at Lime Rock Park event is now online. The schedule includes plenty of track time on both days, with four full sessions for each DE and TT group. We're taking care of our racers too - There is now a 20 minute Sprint Race on Friday in addition to the 25 min / 1-Hour SprintDuro Race on Saturday. Early bird Registration is open until June 17th. Register today and save $50 off the at-track price.